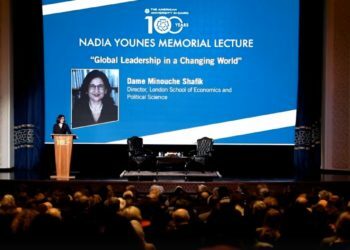 Nadia Younes was a remarkable person who loved life and has proven to be an inspiration to many young Egyptian and Arab women. After a long and interesting career at the United Nations spanning some 30 years, her life was tragically cut short by the devastating bombing at the UN headquarters in Baghdad on August 19, 2003. The Younes family has created this site to bring together the many articles and letters about Nadia that have been collected since her death as well as a collection of her photos. This site will bring you news of activities and events from the Nadia Younes Memorial Fund at AUC established in her name. Additionally, you will find a guestbook where those who knew and loved her can share their memories. This site is intended to be upbeat, inspiring, uplifting and hopefully even a little irreverent; all qualities that epitomised Nadia’s strong and colourful character.